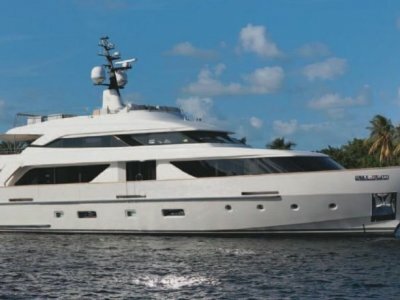 M/Y “FRIVOLOUS” is a 2009 build 34 Metre Sunseeker built with twin MTU 16V 2000 M9 2434hp engines capable of reaching speeds of up to 24 knots and a fuel range of over 1200NM. 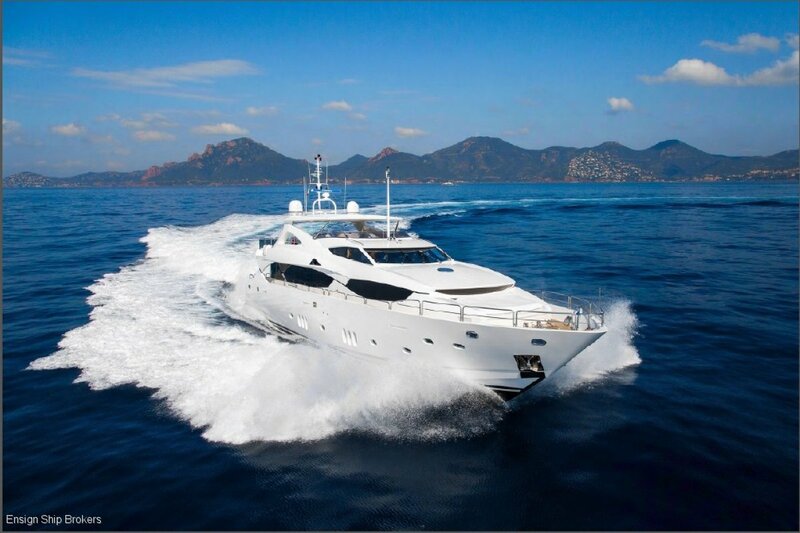 This splendid example of one of Sunseeker’s most sought after models is equipped to the very highest specification including Trac Stabalisers, 2 x 50KW Generators, Jacuzzi, M9 Satellite TV system with decoders and B&O sound a vision entertainment systems fitted throughout. 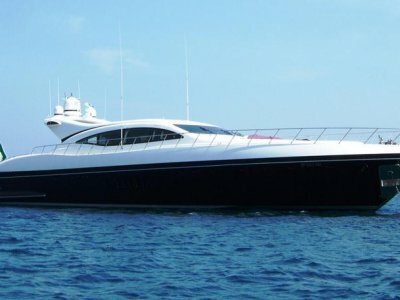 Having undergone a refit in winter 2015 “FRIVOLOUS” presents a real opportunity to acquire a truly magnificent yacht. SALOON: The vast saloon area on the main deck incorporates two large, luxurious sofas with more than enough seating for all ten guests staying on board and is conveniently located next to the midships formal dining area, where guests are served from the portside galley. 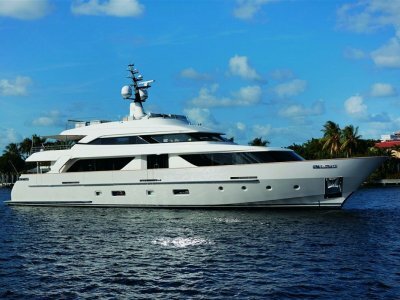 “FRIVOLOUS” has a raised pilothouse with access to the flybridge where you will find a jacuzzi, bar, dining table and large comfortable seating and bathingareas. Master suite owner's cabin. 2 x double guest staterooms. 2 x twin guest staterooms. 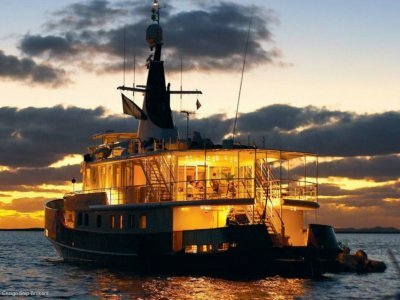 The full beam master stateroom is located forward on the main deck with the two VIP double guest cabins and two twin cabins situated on the lower deck. 2 x double freezers subzero. DANBUOY: 2 x Life buoys, 6 x Water sports buoyancy aids, 1 x Line throwing device.